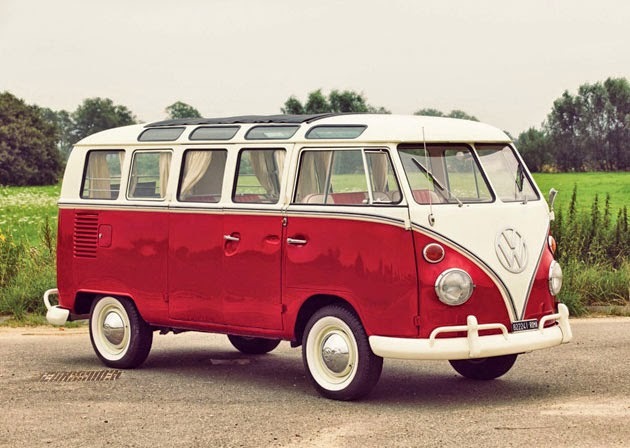 Wonderful bus has restored, its a second cars type was produced by Volkswagen, yes its little brother of VW Bug (known as Type 1 / Beetle), named Type 2. 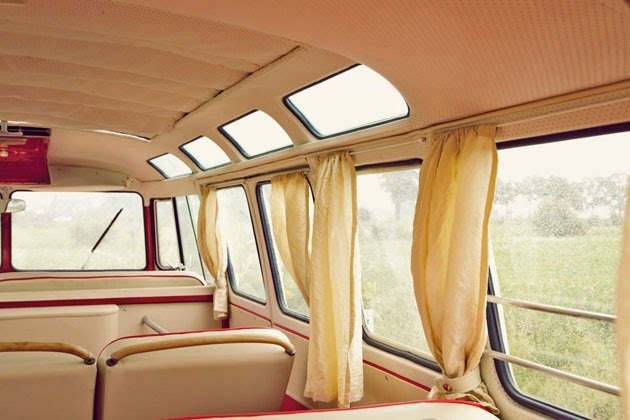 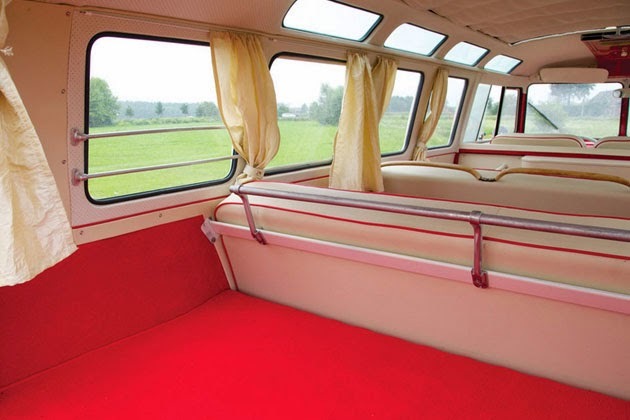 This a deluxe series comes with 21 window, has 9 seats built in 1965. 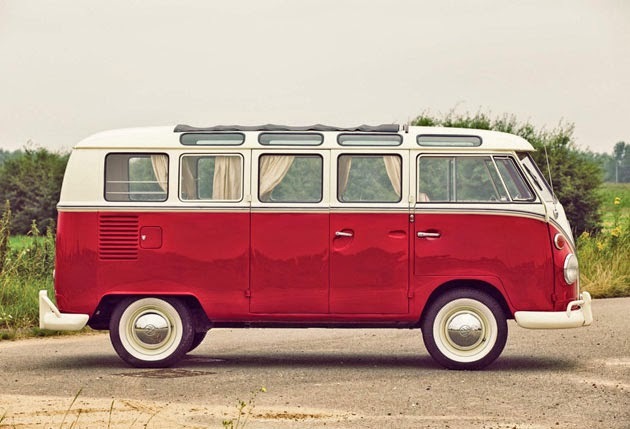 This bus has been sold for £53,200 at London Auction, 8 September 2014 by RM Auctions. 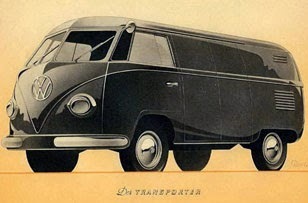 More information about Type 2 please read this "Volkswagen Transporter T1"
Originally it's Italian lady bus, was delivered new from Hanover to Rome in 1965. 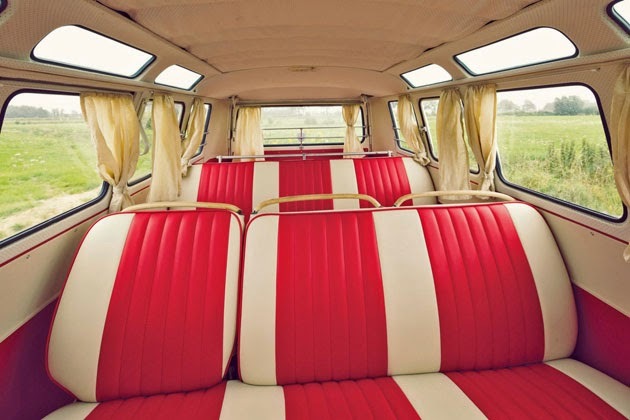 It then changed hands several times before restored to its original splendor by the last owner in Rome. 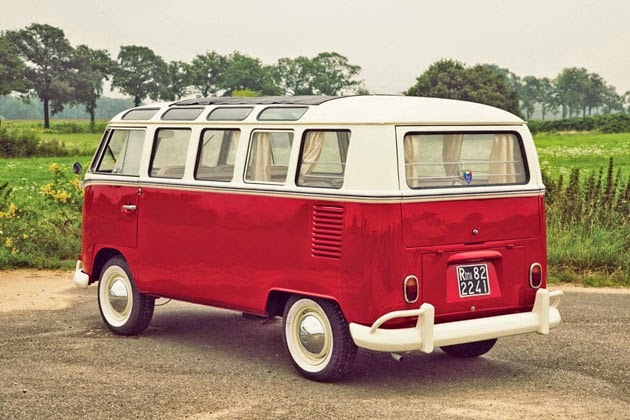 One of rarest variant, original “Samba” the 21-Window Microbus, which makes it highly desirable amongst collectors today. 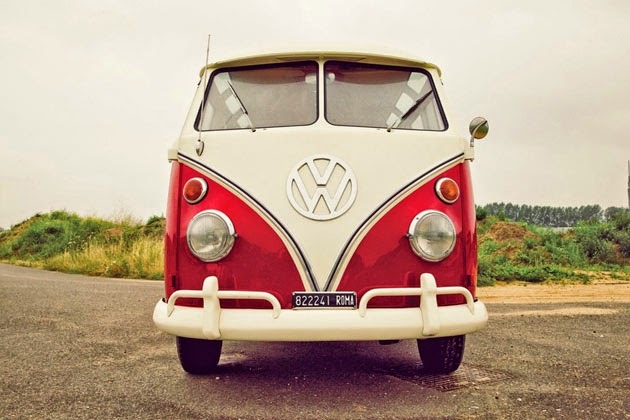 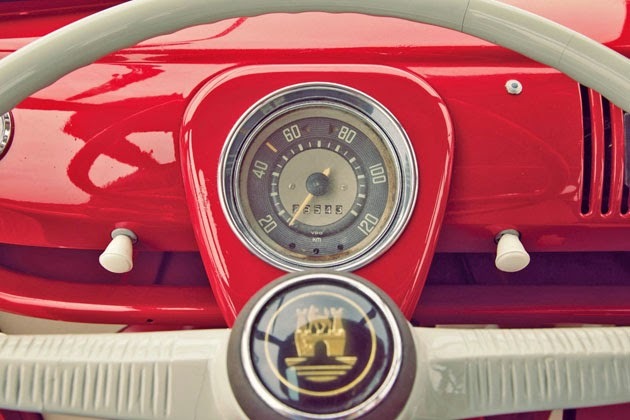 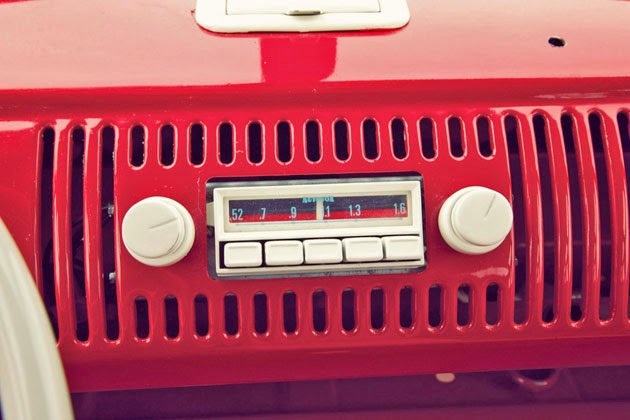 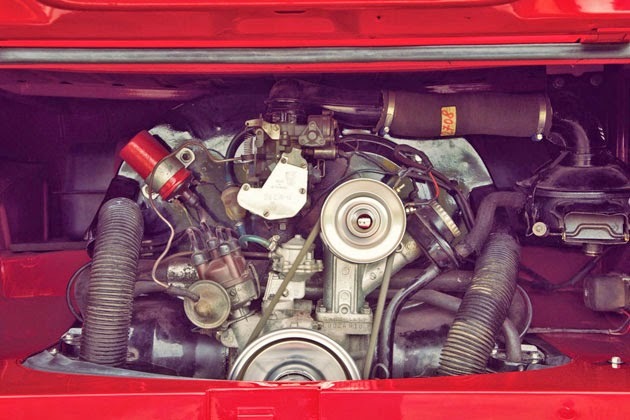 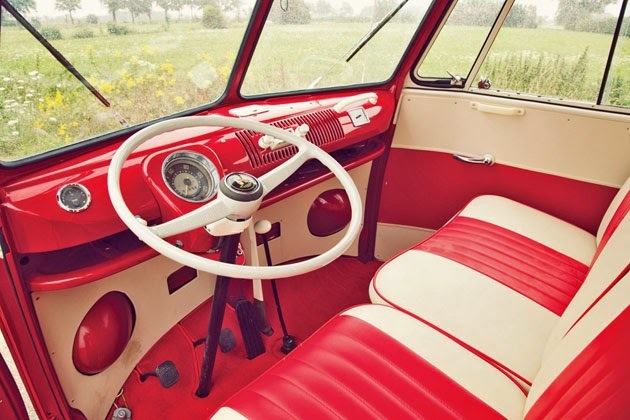 Red and white microbus, was powered by a 1500cc, four-cylinder air cooled engine that could produce an adequate 40 horsepower has 20K original miles.